Glorious Jade has been on a strict diet for about 3 weeks now (due to some herbal medication she's taking) and I've been missing the times where we would be hunting for food during lunch hour especially. With photos of some of our meals together sitting in my archives, I shed a tear as I recall the memories....Hahaha! Nowadays, floggers seem to break out often into songs - sung to the tune of "The Way We Were"
We found this place back in June when PL brought us there (must thank Glorious Jade for introducing us a new makan kaki, PL). Picking up PL from the Bukit Jalil Sports School (our dear PL is a national sportswoman! 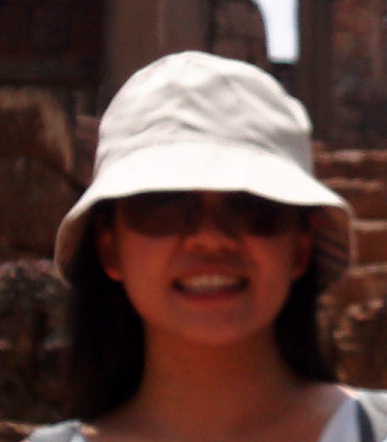 ), we headed off to Salak South in two cars; Glorious Jade, Candy, PL and I in one with Ash and TJ following in the other. PL had been telling us for weeks before that about the place where we could find some nasty (in a good way!) 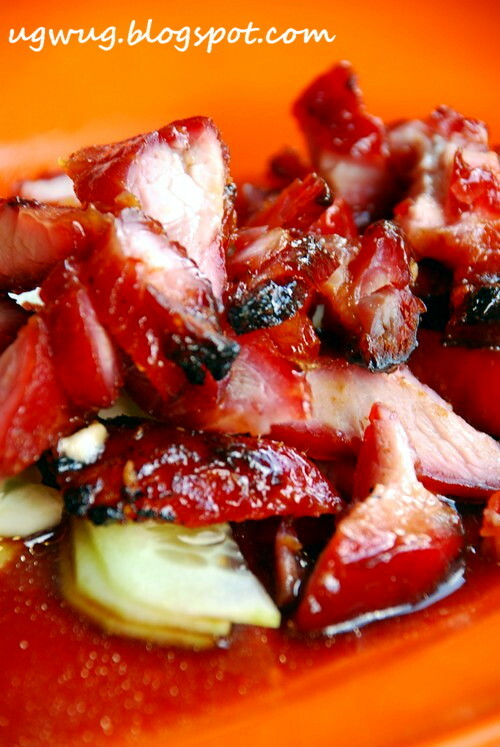 char siew (BBQ Pork). However on arrival, the shop was closed much to our dismay...Big Sobs! I mean after the heightened anticipation, it felt like all the energy was zapped out of us. After driving around in circles wondering what to eat then, PL decided to take us to another place for a meaty lunch in Kuchai Lama. This time round, telling us that the siew yoke (roast pork) is the crowd puller. 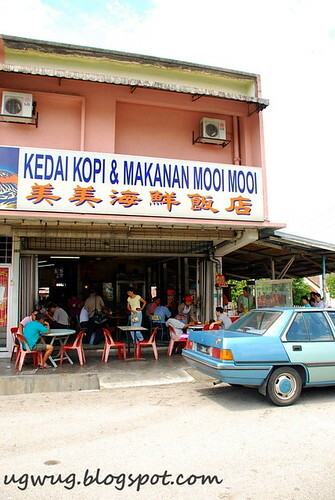 Kum Kee Chicken Rice Stall is actually located in a corner coffee shop, Kedai Kopi & Makanan Mooi Mooi (Little Sister). 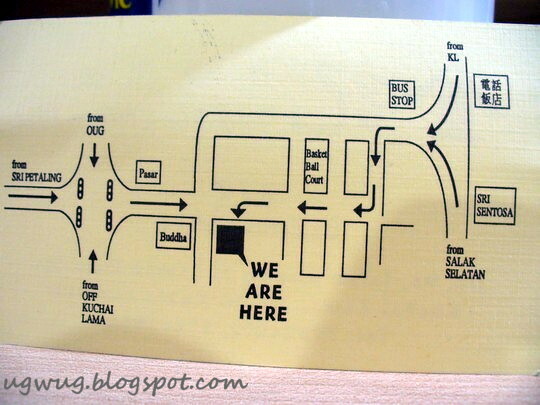 With PL's navigation, I really had no idea how I ended up here after all the circling and turning but here's the map from Kum Kee's name card. I hope you'll be able to find the place with lesser help as I still would have to ask PL to take me there again as I can't remember the way! Best landmark is that it's right next to a rather big Buddhist temple. 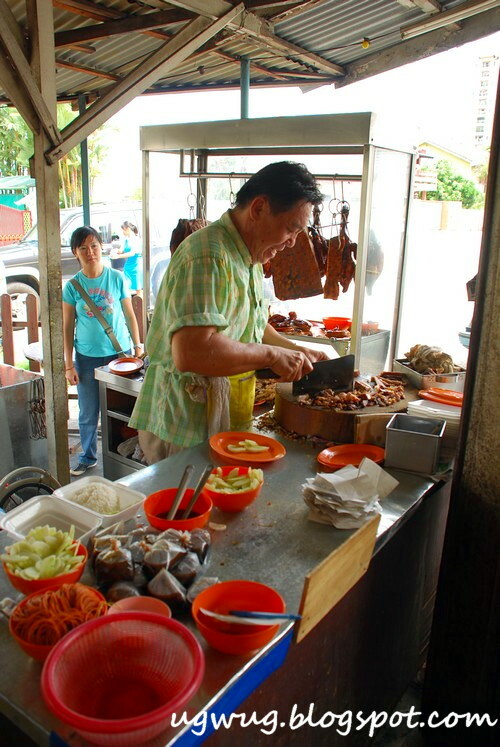 Arriving there during office lunch hour, the stall owner was extremely busy cutting and slicing the roast meats. We all agreed that the Siew Yoke (Roast Pork) was good. With bit of fats (not too much), its skin was crispy while the meat was tender and moist. It was still warm when it was served to us. PL sighed with relief to know that our drive to this place was not wasted. The siew yoke was polished off in record time and we ordered another plate to really ensure that our trip here was worthwhile! Great lip smacking stuff! The Roast Chicken was quite good too. Again, the meat was tenderly moist and was quite aromatic. This takes second spot. The BBQ Pork here though was just average to me. They put in an order for lean meat despite my pleas for some fat! Hahaha...The meat was slightly tough and I felt that the taste was mild. Definitely third placing for this dish. While Pudu's fame siew yoke still reigns, the stall owner here is definitely more amiable and the prices cheaper. 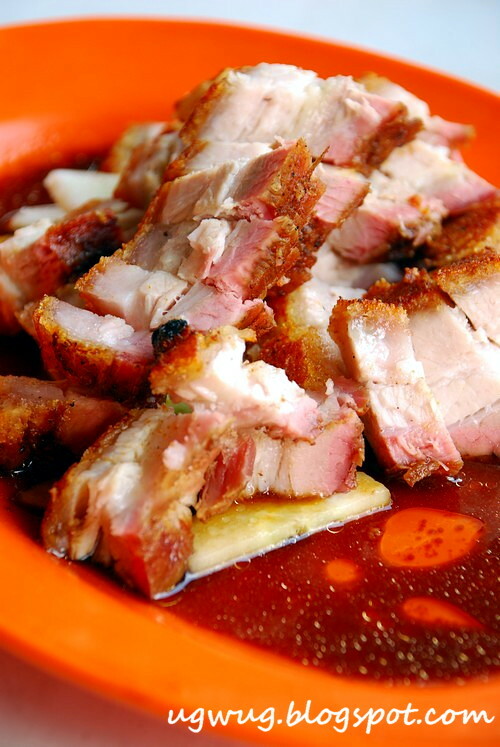 Anyway, the real star of this place - the siew yoke (roast pork) shines and shine brightly it does. With the bad attitude I encountered in Pudu, I'll pick Kum Kee anytime (now, if only I can memorize the directions to Kum Kee!). I ate at this place while I was on vacation back in May. The coffee shop offers stir fried vegetables. We ordered kang kong. The chicken rice, siew yoke and char siew were good. I have been away for over 20 years and Happy Garden brought back a lot of memories. My dad's best friend lived there. 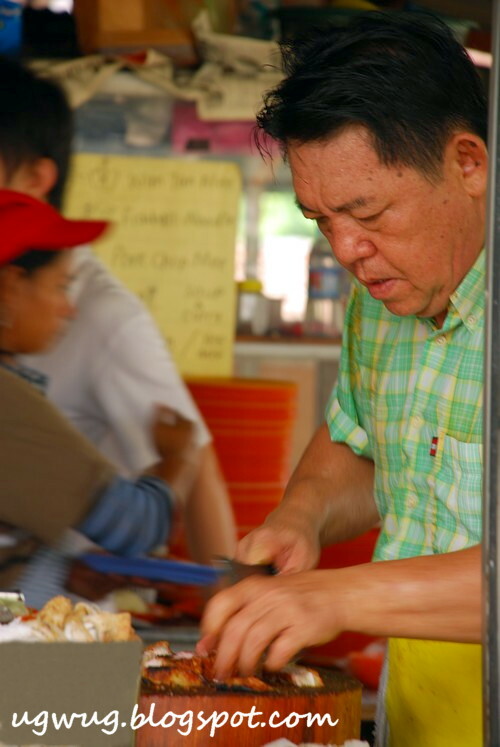 When my dad visited his friend for their "yam chah" session, he would bring fried noodles home. meng : Oh, didn't know they did stir fried stuff. Ah, I know what you mean. I feel the same each time I venture back to my old place before I shifted. LFB : Oh yes, the bunch of us definitely didn't enjoy the meal in Pudu. We ate in Pudu only once and never went back. sc : Yes, as mention that it reigns...but because Kum Kee's folks are friendlier, Kum Kee's is my pick. nic : Oh, looking forward to reading that...and how was your encounter at Wong Kee, briefly? bring me there next tine, k? Aiyo write until like so chaaam! who asked you not to eat fish or else we can still be going around looking for great fish dishes! looks good to me.... a place to kill my hunger! Scott been ranting about a particular place in Kuchai Lama that serves great char siew too... I wonder would it be the same place as the one you're supposed to visit? Porkeelicious!!!! I looked at the location map..still blur lah! Take a bucket quick! My saliva is drooling!! Haha! Really good shots! Aiyo, you always tempt me lah. Short of the Lee...then it will be Lee Kum Kee! Ho hohohoh! The taukeh looks a little similar to my grand uncle down at KL, no? When you mentioned your friend being a national sportswoman .. it just clicked! The reason why Malaysians never do well at the Olympics must be the temptation of great food all over the country. Cant see how you can live in Malaysia and live on a diet of pasta steamed meat and veg. Glorious J : I dun like fish woh..fish and chips can lah! 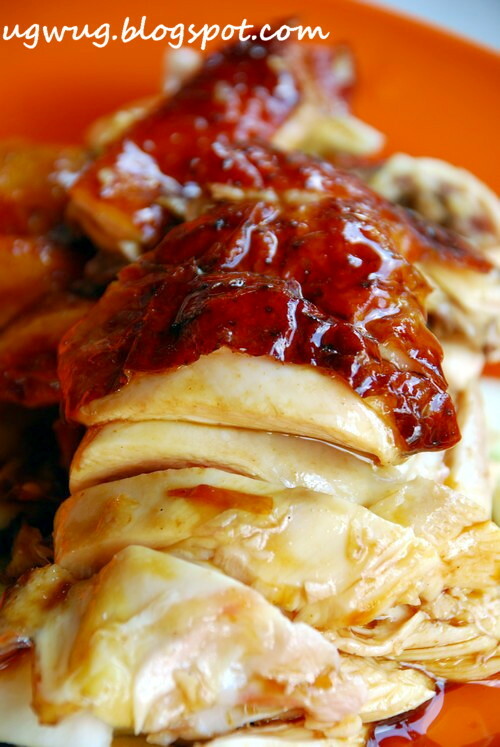 BBO : Looks more than good, the siew yoke is crunchylicious! Jason : No, the char siew place is not in Kuchai Lama leh. Precious P : Yalor, that's why I would still need people to navigate! Wonda : Hahaha...still drooling ah? Over over from Singapore....I will make my way there when I visit KL again. Ethan : Now that you mentioned it...why, yes! Hazza : Hahaha...Anyway, PL's game is not included in Olympics :o) and she's trim and fit!!! Nic : Yes, we know that about the food...how was the "hospitality"? wow your pictures look nice! they're mouth-watering! im getting more hungry.. lol..
You always find the best stuff to eat. 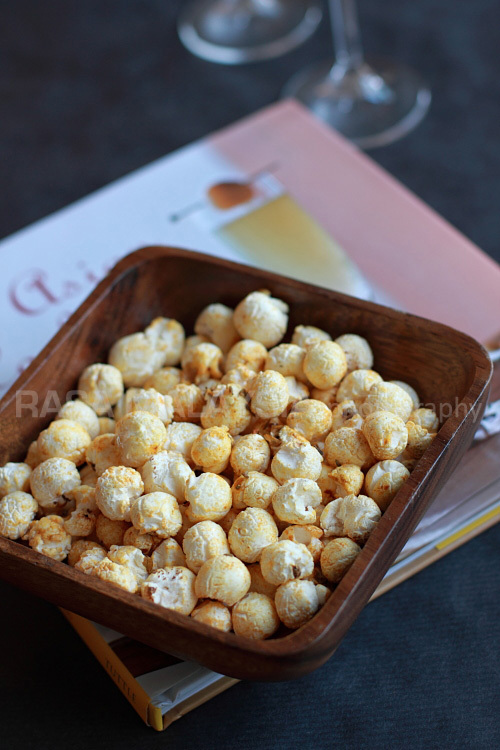 :) i so enjoy looking at the great food pictures you have here.